Recently the state of California has created what they call the step down program which those of us at Pelican Bay SHU have rejected. 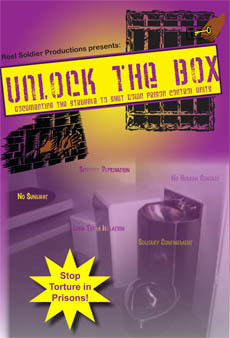 The strikes that swept Amerikan prisons in 2011 were initially kicked off with the intention of obtaining five demands, and the State has so far failed to grant the five demands. This July it will be two years since the prisoner population first mobilized around the five demands and yet the State has been making excuse after excuse to go in circles and drag things out while making more promises. We have reached way deep for what little patience may be left in us as people who have suffered years and in some cases decades under the brutal torture of the State. And yet this patience was taken as weakness as all oppressors take patience or good gestures coming from the oppressed. We have attempted to resolve this issue with the brutal state through dialogue, and through agreements, to no avail. We now understand that like all efforts for dignity and humyn rights it will take struggle! Everywhere in the world where the people fought oppression it was done through struggle, with selfless acts of sacrifice in some way. 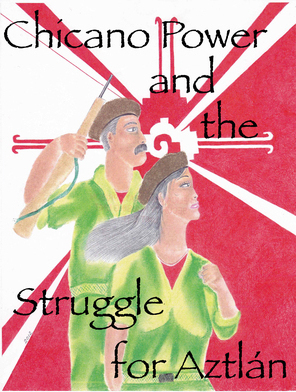 The law of dialectics proves that struggle, sacrifice and suffering produces justice, freedom and peace. One relies on the other in a unity of opposites and a perpetual contradiction and it is this contradiction that prisoners today find ourselves in and which created the conditions in which the 2011 strikes were brought to surface. California, like all imperialist prisons and jails, has relied on brutal treatment in order to control its prisoners. It is living within a capitalist society that creates these prison camps, these concentration camps that capture our people, capture our youth and have us living under an occupied force, colonized not only physically but mentally as well. The fate of our nations within prisons relies on what we do today. The question is, do we continue to be locked in oppressive conditions or do we finally stand up and demand our dignity? More and more of our youth enter these concentration camps lining up right behind us and walk in sync to the slaughter house known as SHU or hole. So many of our "privileges" have been taken by the state. Many times our loved ones out in society suffer from traveling to see us, paying outrageously for phone calls or goods and yet we sit and accept it. This has gone on far too long. Our patience has run out, we have grown old, our health is beginning to fail us, our sanity under such cruel and decrepit conditions is at stake and there is no end in sight, no light at the end of the tunnel. So we must make a spark that creates our own light at the end of the tunnel! We have given the prison until July 8, 2013 to meet all five demands we listed in 2011 and if they are not granted by July 8 then our hunger strike will continue on that day. We will demand to be treated as humyn beings, we will not be tortured any longer. What we learned from 2011 was the repression that will come from such a non-violent protest and many ideas have since come to the fore. Many lessons were learned since the last strike, lessons that will make us stronger next round. But we call on all those oppressed to use July 8 as your rally cry and to use this historic day to bring attention to your suffering, to your torture and to your oppression. And so we ask all to join us on July 8 as once more we hunger strike in unity for all prisoners, not just in the United $tates but around the world. United we can accomplish anything, so long as we act as one. We need to remember that our oppressors act as one when they create harsh laws and throw away the key. They act as one when their sticks are breaking our heads and when we are placed in torture conditions. It doesn't matter their background or nationality, their sticks and boots feel the same on our bodies. So let all prisoners also use this unity in a united front where every dungeon forms their own demands on July 8 to better conditions wherever you're at. There are still a few months until this date comes, and it is better to have time to get your mind right and be prepared. California has begun to develop peace zones in all prisons and jails where no longer are prisoners at each other, oppressing each other. Instead we are promoting peace and creating peace zones in all facilities. Now, instead of warring on each other, prisoners in California are beginning to find ways to better their living conditions. They are looking to the true oppressor and developing a more revolutionary culture in all prisons, jails and youth facilities. It is only by creating a more revolutionary environment that real change can come from not only our prison conditions but also in our relations with one another behind these prison walls. Let us create these safe zones and look to those who are also held captive as struggling against the same oppressor.